SA Conference sheds some insights on how to organise a golf day. I have been tasked to organise my company’s annual charity golf day and I don’t know where to start. A search online just confused me more as I was confronted with the terms like better ball and scramble. I really want to put together a golf day that will be enjoyed by all players and raise a lot of money for my company’s chosen charity. Lee van Nispen, 27Four Individuals. Before organising a golf event, the organiser needs to understand the purpose of the event: Is it to raise money for charity, for fundraising or for a corporate that wishes to use the event to host key clients? The purpose of the event impacts on the decisions and choices you will need to make. Although Nispen is organising a charity golf day, many of the tips below can be used for other types of golf events. The success of your golf day is hugely influenced by your budget and the choice of course. Although the reputation of the course is important, you do not need to choose a well-established course. The type of tournament that will be played and the handicaps of your players are also deciding factors in deciding your course. Remember that club facilities also need to be taken into consideration when choosing the golf club. Ensure that the club house will be able to accommodate all the players at the prize-giving ceremony. Negotiate with the golf club that the PA system, podium, as well as catering, are part of your golf day package. Golf takes all day and refreshments are served at the halfway mark. Depending on your needs, you may have a gala dinner with the prize giving. “Don’t forget to ask for tables and tablecloths for the prizes at the prize giving and to check with the club if they can cater for special dietary requirements. In the case of kosher and strictly halaal meals, check if they are able to source these for you, what the surcharge per head will be and also the lead time for ordering,” advises Irene Hattingh, owner of Irene Hattingh Services, who has organised many golf days. Another factor to remember is that most golf clubs have a formal dress code that they expect all members and visitors to adhere to. First things first – decide on the initial player fee. This is an effective and quick way to raise money. You could ‘sell’ mulligans, which gives the player another try, on the first tee. You could also ‘sell’ double or quits for getting onto the green on a par 3. For example, players can buy another turn and if they get onto the green they will receive half their money back, but if they miss, they lose all their money. Just remember that mulligans and double and quits are only for sociable events as scores are not entered into the handicap system. You can also have a photographer on the first tee and sell the photos afterwards. 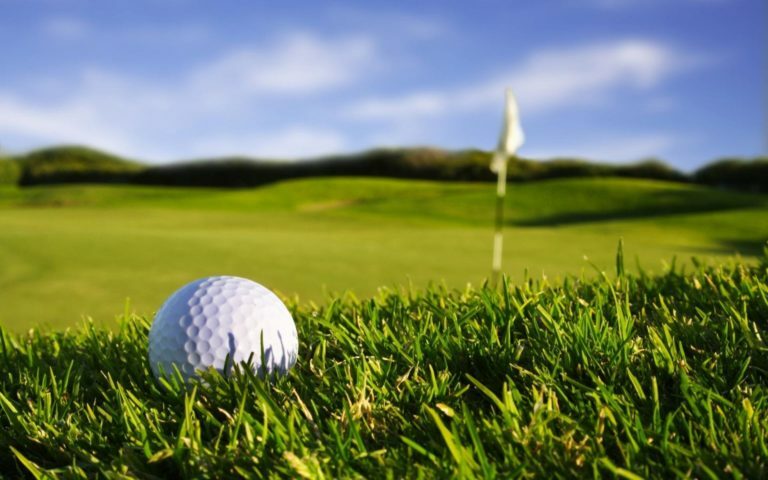 “Just check with the golf course if they have any restrictions in terms of selling as some courses may not approve of you selling or handing out shooters as new liquor licence laws do not allow alcohol to be served out on the golf course,” advises Irene Hattingh. Sponsorship is also a popular way to raise money. Sell branding opportunities in prominent places such as the 18th hole or the first tee. Remember that a successful golf day needs prize giving and if your company is not providing prizes themselves, you will need to source prizes. Encourage companies to donate prizes in exchange for the publicity. Of course, these prizes could be used for raffles or a silent auction. Remember you will need someone to collect the cards after each round and calculate the winning score. If you have a scoreboard, it will need updating – don’t worry; the golf club will assist with the scoring function. If you are running any competitions, it would be a good idea to have assistance with that as well. “In addition to the event specifics, I always like to find out from the club if its staff will be available on the day to score for us. What this entails is that they will collect all the score sheets as players come off the course and then work out the scores and place the teams according to the number of prizes available. It’s also good to find out if the club will manage the start of the field for you; most of them do and it forms part of their service offering to the client,” continues Hattingh. If you have non-golfers attending your golf day, plan something for them to do. Your chosen golf club could have a spa, which is a relaxing option for the non-golfers. You could also organise golf carts to drive them around so that they can get information about the current leaders or anything else that is going on with the group. Meetings recommends: For corporate and charity golf days, a better ball stableford competition is your best option as all players will be on an equal footing. Go for a shotgun start – groups start on one of the holes and play until they play each hole. This will ensure that everyone ends at the same time. Medal play: Type of competition, also known as strokeplay, in which the lowest total score (number of strokes) wins.